Director of ITU's Telecommunications Standardization Bureau, Dr. Chaesub Lee, has confirmed that the ITU will seek to develop international standards for the internet of things and smart cities. Smart Cities World Forums magazine managed to secure an exclusive interview with Dr. Lee, who highlighted the progress the ITU is making towards defining 5G standards, and the benefits its KPI's are having for smart sustainable cities. The ITU Telecom World Event was recently held in Busan, South Korea. At the conference there was a strong focus on promoting smart city technologies. Can you outline to us what pioneering smart city concepts were showcased at the ITU event? ITU Telecom World brought together thought leaders in artificial intelligence, financial services and urban development to discuss issues of common interest and the new dimensions of governance in our increasingly interconnected world. 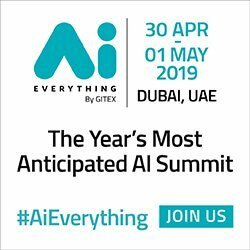 The event hosted cross-sectoral debate, with city administrations meeting with finance communities and finance communities meeting with AI experts, to exchange information and identify common needs. Alongside these cross-sectoral discussions, ITU Telecom World showcased a broad spectrum of ICT solutions including intelligent transport technologies designed to improve road safety and traffic flow, wearable e-health devices that monitor citizens' health while on the move, and data management systems that help city administrations to gain insight into the movement of city inhabitants and their interactions with city services. To make smart city concepts a reality then there has to be implementation of ultra-fast 5G mobile networks. Will the ITU have the spectrum defined for 5G networks before 2020? Defining spectrum for IMT-2020 (5G) is high on the agenda of the ITU World Radiocommunication Conference to be held in the final quarter of 2019. The conference will discuss a broad range of radio services and systems for international mobile telecommunications (IMT), radio local area networks, intelligent transport systems and high altitude platform stations. technical studies and the draft text of the conference preparatory meeting - a text likely to include proposals for 5G spectrum allocations - are under development in ITU's radiocommunication sector (ITU-R). Dubai was the first city in the world to implement ITU's KPI's for smart sustainable cities. 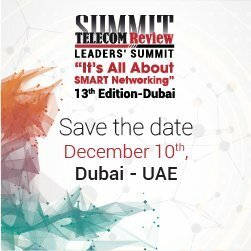 Can you provide us with an update on how that has developed and progressed in the second year of the partnership between the ITU and Dubai? Dubai was the world's first city to implement the key performance indicators for smart sustainable cities developed by ITU and the United Nations Economic Commission for Europe. Singapore joined the project soon after Dubai and this project now includes over 50 cities from around the world. ITU has published case studies providing evaluations of Dubai and Singapore's progress in meeting the objectives of their smart city strategies, evaluations undertaken using the ITU-UNECE key performance indicators provided by ITU standards ITU-T Y.4901/L.1601, ITU-T Y.4902/L.1602 and ITU-T Y.4903/L.1603. The collection and verification of the data in these case studies was carried out in close collaboration by smart city experts and the administrations of Dubai and Singapore. The case studies are valuable points of reference to other cities pursuing greater efficiency and sustainability. In the next phase of our collaboration, the experience of Dubai and Singapore will assist ITU's review and refinement of the indicators as well as contribute to ITU's planned development of a 'Global Smart Sustainable Cities' index derived from this set of indicators. The internet of things is seen by many as our greatest opportunity, and is a key component in the development of a smart city. However, security experts claim it's also our greatest weakness. What in your expert opinion do smart cities need to do to become more safe whilst integrated IoT into its systems? All industry sectors are expected to rollout IoT initiatives, making it critical for all companies and public-sector bodies to develop a culture of cybersecurity awareness. From a technical point of view, most IoT devices will have several constraints - restrictions with respect to cost and device size, for example - which create associated constraints on their security capabilities. Security challenges also relate to the fact that IoT solutions are being developed with a huge number of different technologies according to the needs of different industry sectors. ITU's international standards promote security and privacy by design, the consideration of security and data protection from the outset of an ICT solution's development. Complementing our work on security and the protection of personal data, ITU is studying 'trust in ICT' as an emerging field of ITU standardization work of considerable importance to 5G, IoT and Smart Cities. ITU is shaping the conversation around the meaning of trust in ICT and developing technical mechanisms to move from theory to implementation. This work will make a key contribution to the reliability of technologies becoming increasingly autonomous in their operation. Can you outline to us what the primary objectives and goals are for the ITU looking ahead to 2018? ITU will continue to provide leadership in the international standardization of core ICT infrastructures such as ultra-high speed transport and access networks as well as advanced video compression standards. We will continue to support the shift to software-driven networking - a fundamental contribution to 5G systems - with the development of international standards for network management and orchestration, network softwarization, information-centric networking and fixed-mobile convergence. We have also launched a new ITU Focus Group to study how machine learning will contribute to the design and management of 5G systems. Participation in ITU focus groups is open to all. These groups deliver base documents to stimulate ITU standardization work. Alongside our new focus group on machine learning for 5G, we have another three ITU focus groups in operation, studying the standardization demands of applications built on distributed ledger technologies such as blockchain; digital fiat currency authorized and issued by central banks; and data processing and management. IoT and smart cities together form a key area of ITU study. ITU is developing international standards for IoT and smart cities, and exploring new policy directions capable of stimulating the transition to smart sustainable cities. The priority of our focus group on data processing and management is to support the data management needs of smart cities. 2018 will also host an acceleration of the work of the financial inclusion global initiative (FIGI) led by ITU, the World Bank Group and the committee on payments and market infrastructure (CPMI), with support from the Bill & Melinda Gates Foundation. FIGI will assist developing countries in leveraging digital technologies to bring financial services to the estimated 2 billion adults worldwide still without access to a bank account.